Franchise Basement De-Watering Systems Inc.
We have built a national network of Authorized Dealers that share our strategy of offering the most cost effective, innovative, and efficient de-watering and waterproofing products and services available. Team effort, innovative thinking, and proven methods have allowed us to remain in the forefront of the water control industry. 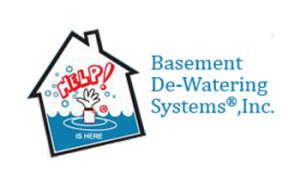 Since 1978 Basement De-Watering Systems has been using the Real Dry system to permanently solve water seepage problems in the United States, Canada, and the United Kingdom. Basement water seepage can be controlled, and our tried and true method can transform a wet basement into a usable dry living space. We are dedicated to guiding and supporting our Dealers down a very prosperous road. We have developed the proven strategies and the attention to detail that makes those strategies work. Sharing our success is the key to our Dealer’s success. We are currently looking for Dealers in many areas of the United States. We look for potential Dealers who are interested in using the latest in education, technology, products, and service to continue to satisfy consumers for years to come. We will provide you with the major tools needed, training, marketing materials and enough basement waterproofing product to recoup your initial investment. After that we will continue to provide you with waterproofing products, marketing material and expert advice to help your company be successful and offer waterproofing solutions to you clients. If you are ready to provide new or existing customers with a solution to their basement water problems and make money while doing so, we would like to talk with you.